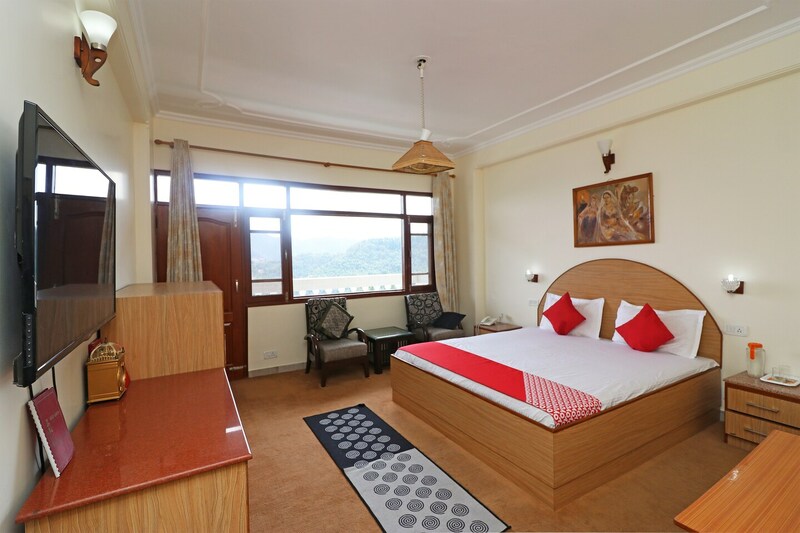 Home Studio Hill View Shimla is a cozy property surrounded by lush hills and located close to the center of Shimla. Well-decorated rooms with wooden claddings will welcome you with a warm, cozy ambiance. The rooms feature TV, room heater and free internet. Bathrooms are clean, trendy and fitted with geysers as well. The kitchen is well-maintained and comes with a host of appliances like a gas stove, microwave, R.O. water dispenser, refrigerator, water heater, etc. The dining area is aesthetic too. Power backup, parking facility and CCTV cameras for complete safety make the property alluring. This home studio is close to some popular places such as Khushala Hanuman Temple, Tara Devi Temple, etc.